More than seventy years of distinctive presence in the field of siphons, marked by a single choice: the excellence of Made in Italy rigorously respected at all stages of the production process. The choice of the best materials and design attention to new trends, ensure that we remain at the top of the market and will dictate the guidelines. All our products are manufactured with raw material and components made in Italy, from farms certified in full respect of European regulations. The products are manually controlled during the various phases of the production cycle to ensure the final quality of the product. Quality, functionality and style are the key points of all creations by Ravani Sifoni. Ravani continuously seeks solutions. 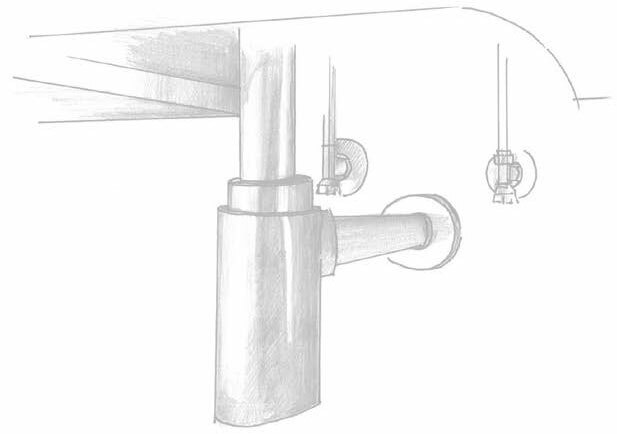 As a result, Adhoc and Flo are the first waste traps for bath and sink with integrated overflow, ensuring peace of mind to enjoy the bathroom in total comfort. We have always tried to meet the needs of our customers, the UNI EN ISO 9001: 2015 certification is the realization of business policy pursued over the years. Quality Certification is a guarantee of the company's constant commitment to achieve the goals.